New Horizons recently received a $5,000 grant for the continued specialized treatment of children at the Audrey Grace House in Abilene. 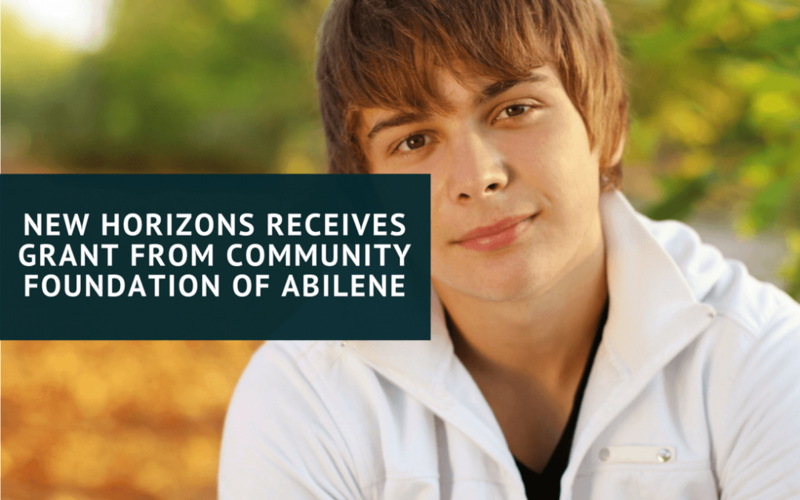 The grant was given by the Community Foundation of Abilene and the Bob and Peggy Beckham Family Donor Advised Fund. The funds will provide specialized treatment for children who are suffering from emotional, behavioral and attachment issues due to traumatic experiences in their lives. They will also provide care for basic living needs, such as food, clothing and shelter, and will cover special needs such as travel expenses for family visits. The Audrey Grace House, a residential treatment center for children, opened in 2009 with help from community partners who were aware of the need for a center for children that not only provided healing treatment, but long lasting effects on the Abilene community as a whole. Treatment is provided for children, ages 6 to 17, who are suffering from traumatic experiences. The typical treatment length is 12 to 16 months depending on the progress of the child and other determining factors. When a child enters into care, the treatment team, develops a highly individualized treatment plan according to the trauma level of the child. The plan allows the staff to understand what needs to be done to help the child navigate their emotions, understand their trauma, and more forward in life with a positive outlook. The children who are placed in the residential treatment center have routinely been in foster homes and other basic care facilities, but their anger and hurt is more profound than many families can handle. At New Horizons, the goal is to create a positive, healthy relationship with each child in the hopes of healing their past hurts.